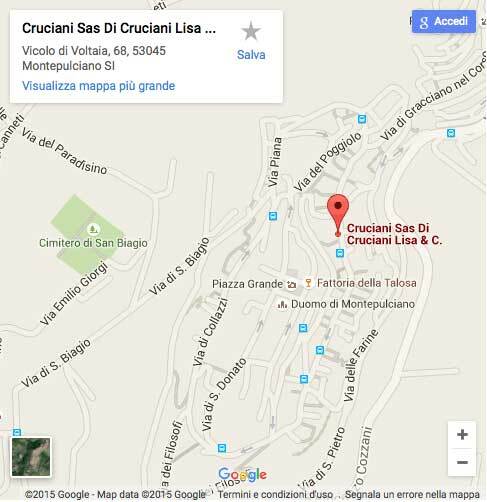 Cruciani Sas di Cruciani Lisa & C.
Our main gallery is in Assisi, where Massimo Cruciani lives and works. Located in the heart of Assisi’s historic center, near Porta Nuova and only 100 metres from the Basilica of Santa Chiara. 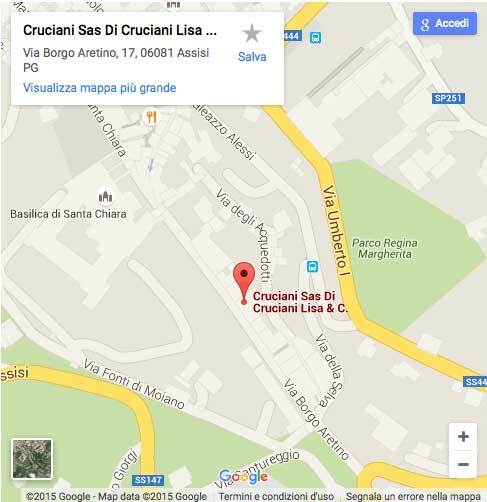 If you’re arriving by car it’s best to use PARCHEGGIO B (car park B) near Borgo Aretino, where our Gallery is located.